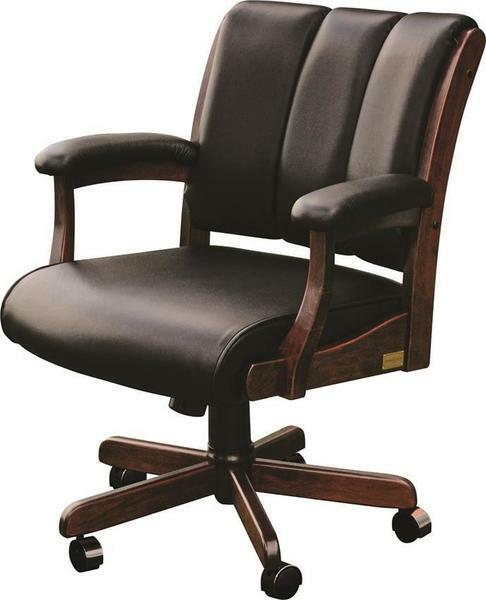 DutchCrafters carries nothing but the best in office furniture. The Edelweiss Desk Chair is no exception. This desk chair is handcrafted and built to order for each custom by a highly experienced Amish woodworker. We offer a wide variety of Amish made chairs to suit every room in your home or office. 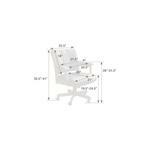 The Edelweiss arm desk chair comes with a gas lift, tilt lock and adjustable tension lift for exact individual comfort. You couldn't ask for a better built and more comfortable Amish desk chair. With a variety of solid hardwoods, stains, paints, fabrics, and leathers you have the artistic freedom as a customer to truly create a one of a kind piece that is perfect for your home and office. Call today to speak with a furniture specialist with any questions at 1-866-272-6773. Seat Height: Adjust from 19" to 24"
Height: Adjust from 36" to 41"